If you are planning on tinkering around with web game development, have a soft spot in your heart for pixelated graphics and don’t have much in the way of artistic talent when it comes to making pixel art, here’s some good news for you. 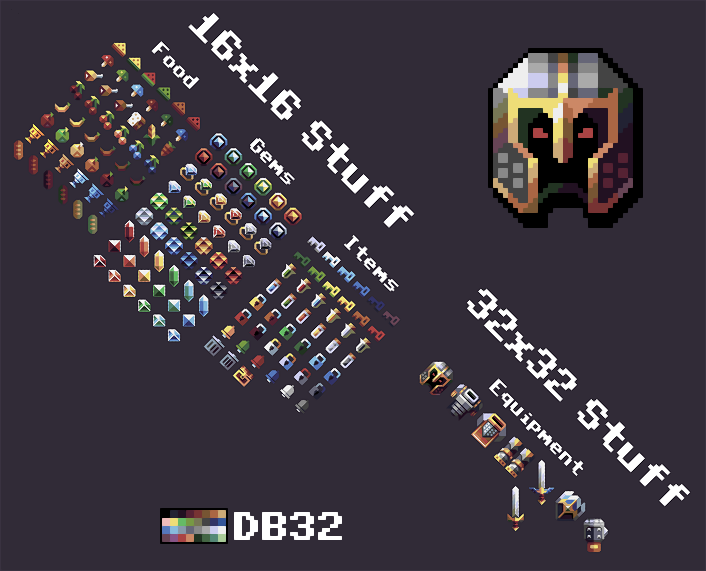 Davis Masia, Kronbits founder and a developer of many small games with a unique look and feel to them has made an RPG asset pack available through his itch.io page. The color pallet used is more detailed then 16-bit era pallets, but it still brings that retro style as the main selling point. His page also features some free asset packs, but the quality of this pack well justifies the asking price.